By Leigh Cordell, WS/FC Office of Emergency Mgmt. 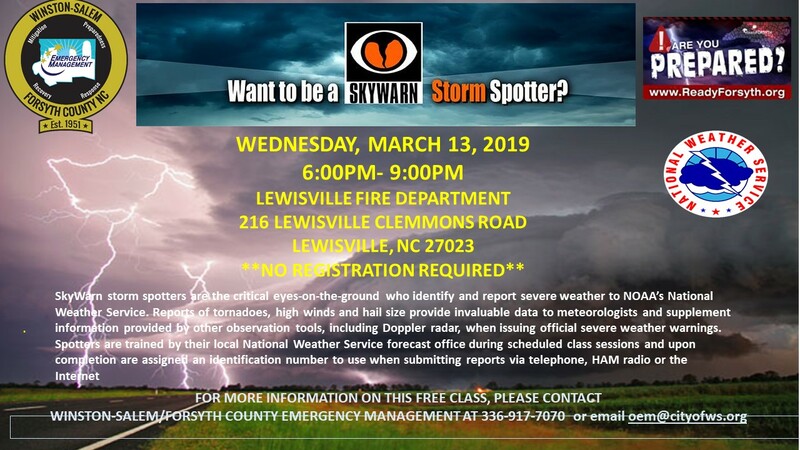 The Winston-Salem/Forsyth County Office of Emergency Management will be hosting a Basic and Advanced Skywarn Weather Spotter class on Wednesday, March 13 from 6 p.m. to 9 p.m. at the Lewisville Fire Department located at 216 Lewisville Clemmons Road, Lewisville, NC 27023. The training is free. No registration is required. 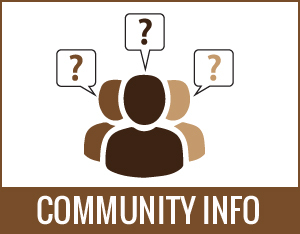 For more information call the Office of Emergency Management at 336-917-7070 or send an e-mail to leighac@cityofws.org .